So after a good few weeks of speculation, it’s finally official: Luis Suarez has left Liverpool to sign for Barcelona, as confirmed by BBC Sport, for a fee of about £75 million. As Liverpool fans across the world start to come to terms with the news that one of their greatest-ever players has left after leading the Reds to within a whisker of the Premier League title last season, they might be feeling just a little apprehensive about the coming 2014/15 campaign. And who could blame them? After all, it’s not just any ordinary forward who has left Anfield: Suarez left at the peak of his powers, having matured from a profligate finisher to a world-class forward, setting scoring records in the Premier League last season despite missing his first five league games of the season. Yet—unbelievable as it may be—it’s not all doom and gloom for the Reds. Sure, it will be a tough ask replacing the 30-plus goals Suarez now guarantees a season, but there should be other priorities in Brendan Rodgers’ mind even now. He must focus on strengthening his defence. By the end of the 2013/14 Premier League season, when Manchester City had finally usurped Liverpool as champions-elect, it was too little, too late to realize where Liverpool had lost the title. Perhaps Steven Gerrard will forever shoulder much of the blame for his fatal slip against Chelsea, when he mistakenly put Demba Ba through on goal. And perhaps it was the throwing away of a three-goal lead at Selhurst Park that confirmed their fate. But throughout the whole campaign, it was Liverpool’s defence that let them down. A total of 50 goals conceded—the second highest among the top eight, just a solitary goal behind sixth-placed Tottenham Hotspur—said it all about a shaky defensive unit that frequently had to rely on an admittedly all-star attack to bail them out. Suarez’s departure will add more pressure to his ex-strike partners to come close to the astonishing 101-goal haul last season, but it will also place the spotlight on a leaky defence that has to get better. There are always two sides to the same coin and two contrasting ways to look at a trend: Namely, that Liverpool showed both strength in character and mentality to secure comebacks and outscore their opponents by one goal to get the three points—but equally, Rodgers’ back four weren’t exactly a reassuring presence when they needed to be. Of course, it didn’t help that due to injury, Rodgers was deprived of his first-choice back four for most of the season—though that was the opportunity that Jon Flanagan took with both hands to resurrect his career at Anfield—but the time has come now to address these problems. It seems strange to see Liverpool building bright young midfield and forward lines, especially with the signing of Emre Can and the blossoming of Raheem Sterling, on a foundation provided by an increasingly erratic Glen Johnson, an inconsistent Martin Skrtel, a hesitant Daniel Agger and a perpetually injured Jose Enrique. Though Johnson seemed to have rediscovered his form at times toward the end of the season, it is telling that he has yet to sign a contract extension. As things stand, he will be a free agent next summer. As prolific as Skrtel was last season, scoring seven league goals in 36 games, he was also responsible for four own goals, and his concentration and leadership have yet to truly convince. Vice-captain Agger is a curious case. As one of the Reds’ most loyal servants in the group, he seems to have lost the faith of Rodgers, with Mamadou Sakho often preferred as the starting left-sided center back, and he is even linked with a summer exit from Liverpool, according to Spanish newspaper Mundo Deportivo (h/t Vaishali Bhardwaj of Metro). Finally, Enrique’s brand of physical and brazen football doesn’t fit in well with Rodgers’ preference for intelligent tactical play; even Flanagan’s displays seemed to have worked better in his system. Given the high-profile links with Southampton’s Dejan Lovren, per Gary Jones of the Daily Star, it seems evident that Liverpool have identified center back as a priority position, but the reality is that upgrades are needed all across the back four. And we haven’t yet touched on the hotly debated position that is goalkeeper. Yet for all of the strengthening that Liverpool’s defence need, the rumor market is still in a frenzy linking the Reds with a forward to replace the goals of Suarez. Now that Alexis Sanchez, previously a candidate either to play with Suarez at Anfield or to replace him as part of the deal taking the Uruguayan to Camp Nou, has joined Arsenal, the seemingly most adequate successor has slipped out of Rodgers’ grasp. Cue the rumors linking the Reds with a move for Swansea City’s Wilfried Bony, via Sam Cunningham of the Daily Mail, and the apparently imminent double deal for Divock Origi and Lazar Markovic, via BBC Sport‘s Ben Smith. All well and good, except they seem to hint that the club are preoccupied with filling the Suarez-shaped void up front and neglecting the obvious issues at the back. Besides Lovren, Liverpool have not been seriously linked with any central defender, while an on-again, off-again approach for Sevilla’s Alberto Moreno seems to be their only lead in the full-back areas. Which leaves arguably more than half of all the defensive positions in need of upgrading, if we include Simon Mignolet’s position between the Anfield posts. Shave away Suarez’s 31 league goals from Liverpool’s total tally, and they would have scored just one fewer than Chelsea. Contrast Liverpool’s 50 goals conceded with Manchester City’s 37 and Chelsea’s 27—even Arsenal’s 41—and we arrive at the root of the Reds’ failure to win the league. There are big issues to address at the back for Brendan Rodgers. Liverpool fans should be hoping that the incessant and never-ending striker rumors are but a smokescreen for the real revolution that needs to take place in defence. Otherwise—Suarez’s goals or not—they’ll be in for a rough ride. This article first appeared on Bleacher Report. Welcome to January 1st, 2014, where a new year begins, the second half of the 2013/14 Premier League campaign starts—and the winter transfer window opens. Back in September, right as the summer transfer window was still shaking from the emphatic way it slammed shut as it always does, speculation already emerged, as rumors started spreading regarding potential transfers four months on. For Liverpool, especially given their recent injury crises, fans have been eager to discuss the names being linked with the club every week, as the Reds no doubt have to bring in new players to strengthen both their starting XI and their squad if they are to sustain their challenge for the top four and the title. But just in case we forgot, Liverpool did actually bring in eight players in the summer. And with half a season gone and the prospect of new signings to arrive at Anfield this month, what better time than now to look back on how their summer signings have fared? Here are our grades and analyses for all eight of Liverpool’s summer signings for the 2013/14 season. We’ve broken it down into four categories: value for money, impact, potential and overall grade. Share your thoughts in the comments below. When Victor Moses arrived on deadline day as a loan signing from Chelsea, he was on paper an interesting and exciting signing for Liverpool: He was always known as one of the brightest prospects in English football, and had just finished the season as an integral part of Rafael Benitez’s short tenure at Stamford Bridge. When he came off the bench to score a brilliant solo goal against Swansea City on his debut, the hope was that he would go on and establish his place in Brendan Rodgers’ starting XI as a pacy, tricky winger capable of scoring goals and in need of a sustained run in a first team at the top level—much like Daniel Sturridge. Fast forward a few months, and he finds himself permanently rooted to the bench, and his substitute appearances are often met with groans and moans as Liverpool fans wonder why Rodgers doesn’t decide to send on a more productive player. 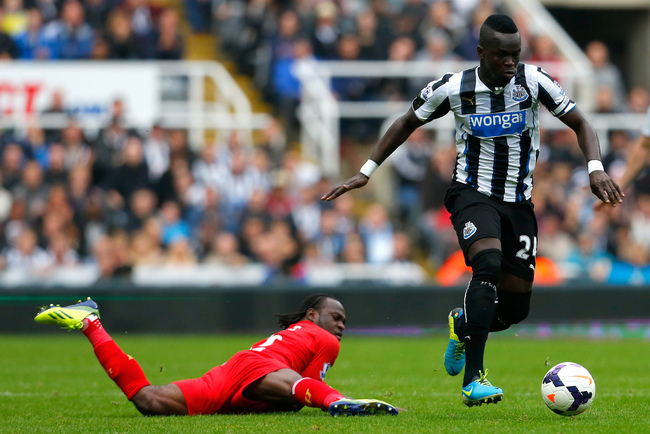 Moses has failed to score since his debut and has generally appeared lethargic, uninterested and off the pace. From an encouraging start to a dismal current state, Moses has lots in common with last season’s failed loan signing, Nuri Sahin. He’s even been played out of position, as Sahin was. Unfortunately for Moses, Sahin had his loan deal terminated halfway through the season and was sent from Real Madrid back to Borussia Dortmund to finish his season. Now that Raheem Sterling has reestablished himself in the starting XI and rumors abound of other wing signings—including Mohamed Salah, according to the Mirror—Moses could find himself following in Sahin’s footsteps. What a disappointment he’s been. Value for money: B. As a loan signing, Liverpool only had to pay Chelsea a loan fee of £1 million, according to BBC Sport. For a short-term signing, however disappointing he’s been, that’s not steep. Impact: D. His debut goal hinted at a bright loan spell, but it’s all gone downhill from there. Restricted to sub appearances these days, and continues to underwhelm. Potential: E. The discussion among fans initially was whether or not Liverpool had a deal in place to sign him on a permanent contract at the end of his one-year loan spell. Now there are far better options who are actually contracted permanently to Liverpool for Rodgers to play. Overall: D. Moses may return to Chelsea this winter, and no one at Anfield will be missing him. Surely that says enough. Iago Aspas has suffered from arguably the same predicament as Victor Moses: that of initial expectation and subsequent disappointment. Aspas had enjoyed an impressive season with Celta Vigo last term, with 12 goals in 34 games as their talisman and having helped them avoid relegation on the final day of the campaign. When he arrived at Anfield in June for a fee of £7.6 million (according to the Guardian), the common feeling was that Brendan Rodgers had secured one of La Liga’s top players and that Aspas would be one of the Premier League’s surprise bargains of the season a la Swansea City’s Michu a year earlier, albeit for a steeper price. Aspas scored his first Liverpool goal in a preseason friendly against Preston North End, and even started the season in the starting XI, but showed signs that he would take time to adapt to the Premier League’s physicality. He has also been rusty in his finishing when provided the opportunities: His preseason goal remains his only in a Red shirt to date. A thigh injury, sustained in October, brought Aspas’ first-team involvement to a halt but offered him a chance to take a breather and regain his confidence. In his absence, however, his colleagues have taken their chance to impress. He is now being linked with a loan move away from Anfield—and in a twist of irony, Michu has said, according to ESPNFC, that he would welcome Aspas at Swansea. Value for money: C-. For £7.6 million, Aspas won’t go down as one of Liverpool’s biggest ever flops, but none of it has been paid back on the pitch yet. Impact: C. His early-season performances offered a glimpse of his ability and quality, but sadly his physique and finishing were not up to speed. His path to the first team now looks rockier than ever. Potential: D. At 26 years of age, Aspas is considerably more experienced than some of his colleagues who have now taken his place in the first team. Only if he impresses majorly out on loan will he even be considered for the long term at Anfield. Overall: C-. Not much better than Moses. Perhaps a move back to Spain, as has been suggested in the Daily Star, might resurrect his previously promising career. After a summer of pursuing a new left-back to provide competition for Jose Enrique, Brendan Rodgers finally brought in Aly Cissokho on loan from Valencia in August for an initial loan fee of around £850,000, according to the Metro. Cissokho’s debut came on the left wing, as he bumbled awkwardly through the Villa Park right flank as a substitute for fellow new signing Iago Aspas against Aston Villa. A subsequent ankle injury ruled him out for six weeks, and he has never looked too comfortable at the back since his return. For a left-back boasting FC Porto, Olympique Lyonnais and Valencia in his top-flight resume, Cissokho has looked distinctly average in his six league appearances for Liverpool, though he did provide the assist to Luis Suarez’s brilliant 18-yard header against West Bromwich Albion. He has since claimed that he would like to make his loan move permanent, according to the Mirror, but on current evidence, Cissokho would have to do a lot more before Rodgers even considers the possibility: That he lost his place as stand-in to Jose Enrique to youngster Jon Flanagan, a specialist right-back, says plenty about his Liverpool career thus far. Value for money: B. Another loan signing, Cissokho doesn’t look dire enough to be shipped back to his parent club mid-season, especially considering the lack of left-back rumors despite the pressing need for reinforcement. A rumored fee of £4 million to make his move permanent, as reported by the Mirror, isn’t the steepest either. Impact: C. Negligible at best, though given Flanagan’s recent injury he may enjoy a run in the first team in the short term. Needs to take this imminent opportunity with both hands. 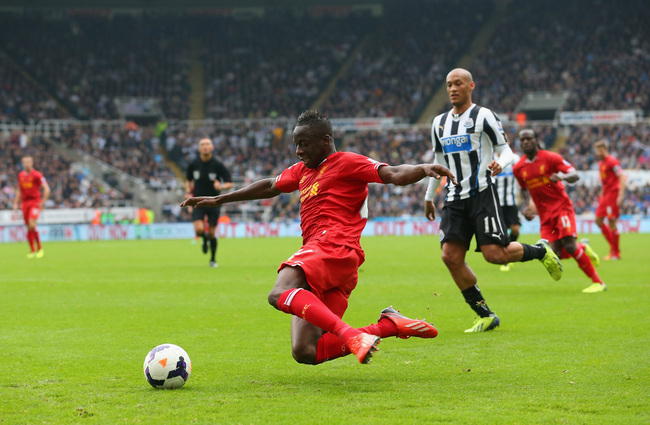 Potential: D. On loan and at 26 years of age, Cissokho doesn’t look a Liverpool left-back for the long term. He needs to improve drastically to even be considered for the medium term, and even then, will face plenty of competition in his position. Overall: C. Not Liverpool’s worst loan signing of all time, but not an inspiring acquisition either. At least he’ll probably have another six months at Anfield to prove himself. September 2, 2013 was a busy transfer deadline day for Liverpool, who secured three signings before the closing hours of the summer window in Tiago Ilori, Mamadou Sakho and Victor Moses. As reported by BBC Sport, Ilori cost £7 million from Sporting Lisbon, an indication of how highly rated he was at the Portuguese capital club, despite having only made 12 first-team appearances for them. Known for his speed—he holds one of the sprint records at Sporting Lisbon amid famously quick graduates like Cristiano Ronaldo and Nani, according to the Liverpool Echo—Ilori has taken his time to settle at Anfield and has put in a few assured displays at the back for the Reds’ under-21 team. As Brendan Rodgers’ side continue to fight for a top-four place, first-team chances have been hard to come by for Ilori, and he’s been linked with a loan move, most recently back to his old club, according to the Independent. Value for money: C.£7m for a young defender without experience in English football—and not much in senior football either—is undoubtedly a steep price. He may yet justify his price tag if he fulfills his potential, but he won’t be winning any awards for bargain transfers anytime soon. 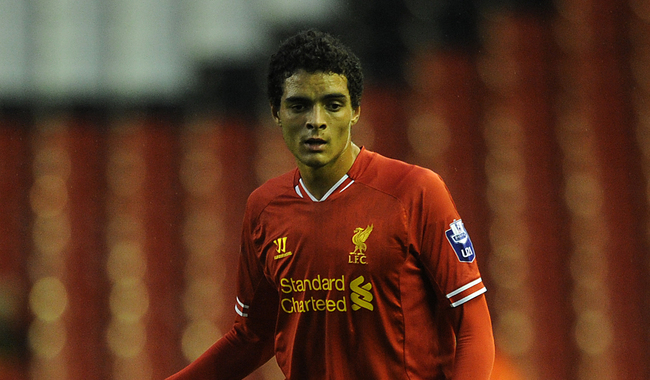 Impact: D. A lack of first-team chances has limited Ilori to Liverpool’s under-21 side, where he has impressed. Liverpool’s early exit from the Capital One Cup also deprived him of potential first-team opportunities in one of just two domestic cups they will be competing in this season. Potential: B. The jury is very much still out on Ilori, and we can’t accurately judge his potential until he plays a few games for the Reds’ senior team. But whispers in Sporting Lisbon and Liverpool suggest that he’s one to keep an eye on. Overall: C. Ilori may well go out on loan in January and try to establish his place in the senior squad next season. Watch this space. 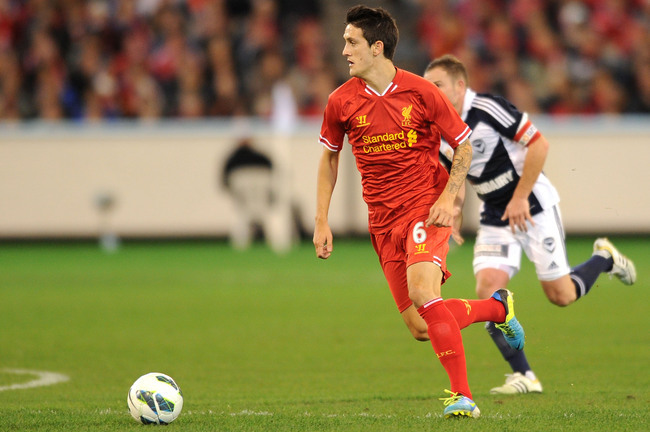 Luis Alberto became Liverpool’s first midfield signing of the 2013/14 season when he arrived at Anfield from Sevilla for a fee of around £6.8 million, as reported by BBC Sport. Alberto arrived with a reputation as one of the hottest up-and-coming midfield talents in European football, as he scored 11 goals in 38 games last season on loan at Barcelona B. With a host of midfield options ahead of him, Alberto was expected to take his time to bed into the squad, and his first-team appearances have been restricted to second-half cameos as he continues his acclimatization into English football. A few encouraging appearances over pre-season in a variety of positions—second striker, central midfielder and deep-lying playmaker—showcased his versatility, while he showed his creativity and awareness with an excellent assist for Luis Suarez’s second goal in the 5-0 rout of Tottenham Hotspur in December. Recent injuries to Joe Allen and Jordan Henderson may mean more first-team chances for Alberto. He’ll be looking to push on and secure a place in Rodgers’ squad. Value for money: C. As with Ilori, Alberto came with an exciting reputation but also a quite considerable price tag. At this stage, he is still ways away from repaying his £6.8m fee. Impact: C. Alberto has already made eight Premier League appearances for Liverpool this season, though mostly at the final stages of games. 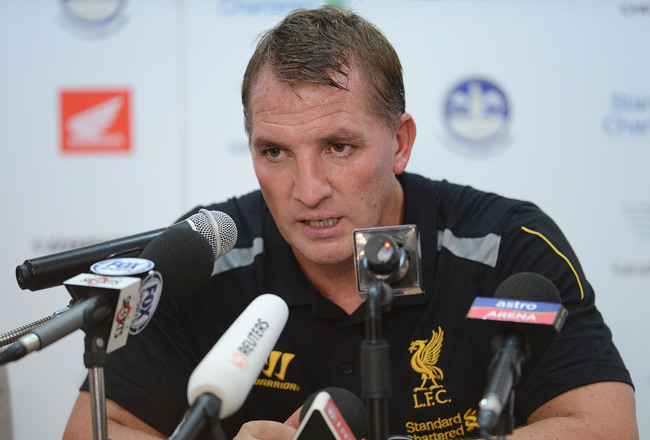 His assist against Spurs was encouraging; Rodgers will be looking for more of the same. Potential: B. From what we’ve seen so far from him this season, Alberto has the technique, composure and passing ability to be a natural fit for this Liverpool side. He’ll have to fight off heavy competition from fellow midfield starlet Suso, impressing on loan at Almeria this season, and other potential midfield signings, if he is to establish himself as a first-team fixture. Overall: C+. A depleted Liverpool squad means that Alberto will likely get more chances in the starting XI. There should be ample opportunity for him to improve on his current C+ rating. How will we replace Jamie Carragher’s experience in the Liverpool defence? Thus went the common question and worry among Liverpool fans in the wake of Carragher’s announcement of his impending retirement last season, but they didn’t have to wait long for the answer. 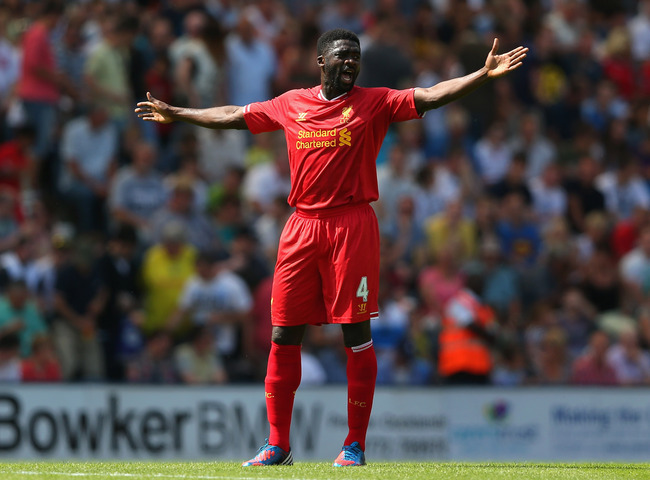 In late May, the club announced an agreement in principle with Kolo Toure, then of Manchester City, to sign on July 1. Fears were allayed, and hopes were raised again. Because Toure, an experienced defender with Premier League titles from his time at Arsenal and Manchester City, would bring not just the know-how of fighting at the top end of the table, but also a strong presence in the dressing room and vocal leadership on the field. In his 11 appearances for Liverpool this season, Toure has marshaled his defence superbly and hasn’t shown many signs of age catching up to his speed, physicality and aerial ability. Rodgers’ starting centre-back partnership may be Martin Skrtel and Mamadou Sakho at the moment, but he knows that in Kolo Toure, he has a reliable stand-in when required. He will be an important part of the Liverpool squad for at least a couple of seasons. Value for money: A. You can’t do much better than to bring someone of Toure’s caliber and experience on a free transfer. Top marks to the Liverpool management for securing his signature early on in the summer window. Impact: B. Toure arrived at Anfield and instantly went into the starting XI, forming an integral part of the early-season mean defence that kept three clean sheets in a row. He has returned to the bench of late, but his versatility makes him a valuable option in the event of injury or rotation. Potential: B. At 32 years of age, Toure is most definitely on the wrong side of 30, so won’t have too many years left at the top level for Liverpool. However, his experience and presence in the dressing room will be important in grooming an exciting crop of youngsters at Anfield. Overall: B+. An injury to Mamadou Sakho and the loss of form of Martin Skrtel may lead to Kolo Toure regaining his place in Liverpool’s first team. They could do a lot worse. All summer long, amid rumors linking the likes of Henrikh Mkhitaryan and Diego Costa to the club, Liverpool fans were hoping for a “marquee signing” that would show their intent at returning back to the elite of English football. Mamadou Sakho, according to Managing Director Ian Ayre, was that “marquee signing,” as reported in NESN, and while he’s not an all-conquering forward, there is every sign that Sakho will become a fixture in the Liverpool defence for years to come. The youngest first-team captain in Paris Saint-Germain history, Sakho was a proud graduate of the PSG youth academy and quickly established himself as one of the brightest defensive prospects in all of Europe. That he was allowed to leave the French capital club at all was a mystery to many. But PSG’s loss was Liverpool’s gain, albeit at a steep price of £18 million, according to BBC Sport, as the French international has slotted seamlessly into the Liverpool defensive line with a series of composed displays. A unique and impressive combination of brute force, physicality, technique and elegance, Sakho has also scored once for the Reds and came close to his second with a headed effort against the bar at Stamford Bridge last week. His relatively immaturity and hot-headed brand of defending was on full display in a Chelsea counterattack that saw Simon Mignolet save from Samuel Eto’o, and he will have to work on his composure game by game. Value for money: B-. Sakho’s arrival was not just about his ability on the pitch; it came with a statement that Liverpool were intent on bringing in the most promising players from all over Europe. £18m remains steep but may look a bargain if he stays at Anfield for the next decade. Impact: B+. In 12 Premier League appearances for Liverpool, Sakho has shown his quick acclimatization to English football and has put in several excellent displays for Liverpool. He just needs to cut out a few tackling tendencies that may leave himself and his defensive colleagues exposed. Potential: A+. It seems as if Sakho has been around for a while, but in actuality he is just 23 years of age. If he continues to improve and fulfills his potential, he could go down as one of the great Liverpool defenders by the time his career comes to a close. Overall: B+. A hamstring injury sustained against Chelsea will rule him out for at least the short term, which may allow him to take a breather and reflect on his season so far. 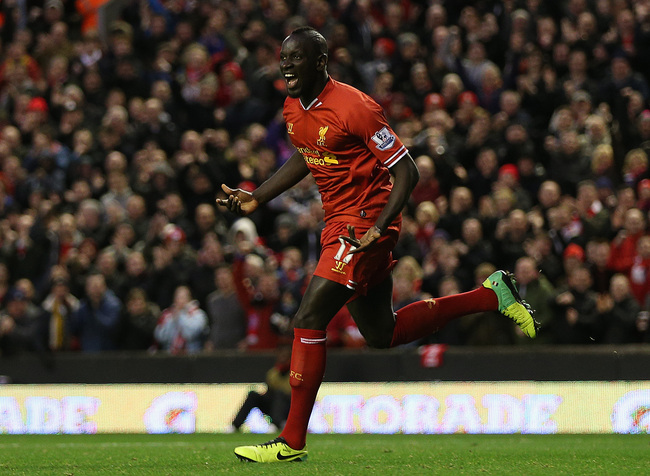 He has already ousted Daniel Agger from Rodgers’ starting XI: The future is bright for Mamadou Sakho. When Liverpool confirmed the £9m signing of Simon Mignolet from Sunderland in June, as reported by BBC Sport, eyebrows were raised: They had signed one of the brightest young goalkeepers in Europe, but he would now have to compete with Pepe Reina, a Liverpool favorite and one of the best in Europe in his own right. But any debate was quickly settled as Rodgers shipped Reina out on loan to Napoli and gave his confidence to Mignolet to be the Reds’ No. 1. And he’s repaid his manager’s faith, starting with a dramatic penalty save at the death in his first match at Anfield to win all three points for the home side. Having established himself as an integral part of the Liverpool defence, Mignolet has saved his team precious points so far this season with his exemplary shot-stopping, while he has already shown signs of improvement in his distribution. Recent errors against Manchester City and Chelsea have highlighted the high level of performance and consistency that the Belgian No. 2 must display in between the Liverpool posts, but he has done enough to show that he might just be Anfield’s first-choice keeper for years to come. Value for money: A-. It wasn’t long ago—six years ago in fact—that Craig Gordon’s £9m move to Sunderland made him the most expensive goalkeeper in Britain, but Mignolet has easily been on at least a par with Manchester United’s £18m David de Gea. An outstanding piece of business for Liverpool. Impact: A-. His recent errors against City and Chelsea potentially cost his side two points in total and has brought any impeccable rating down a notch, but Mignolet has been an excellent addition to the Liverpool defence. That Reina has not been missed is a testament to how well his successor has performed. Potential: A. 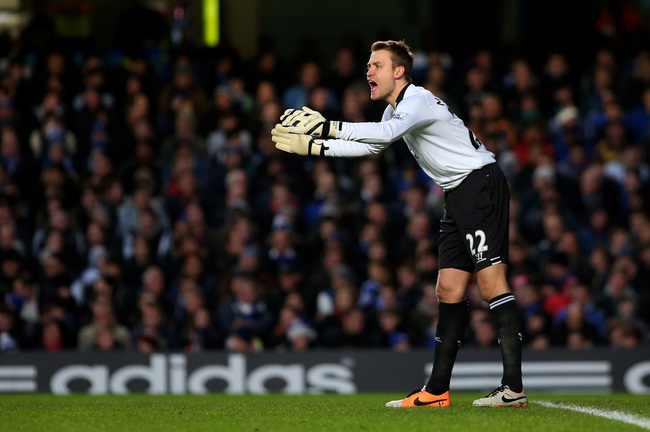 At just 25 years of age, Mignolet could well hold the Anfield No. 1 gloves for the next decade if he continues his improvement and fulfills his undoubted potential. Overall: A-. Easily Liverpool’s best signing of the summer, Mignolet made an all-important double save on his league debut and hasn’t looked back. He is just one of the many exciting young players at Anfield, and will end the season as one of the Premier League’s best signings of the current campaign. This article first appeared on Bleacher Report, where I contribute regularly on Liverpool and the Premier League. Enter your email address to subscribe to Vince Talks Footy and receive notifications of new posts by email.